When Is International Mother Language Day 2020? The United Nations' (UN) International Mother Language Day annually celebrates language diversity and variety worldwide on February 21. It also remembers events such as the killing of four students on February 21, 1952, because they campaigned to officially use their mother language, Bengali, in Bangladesh. 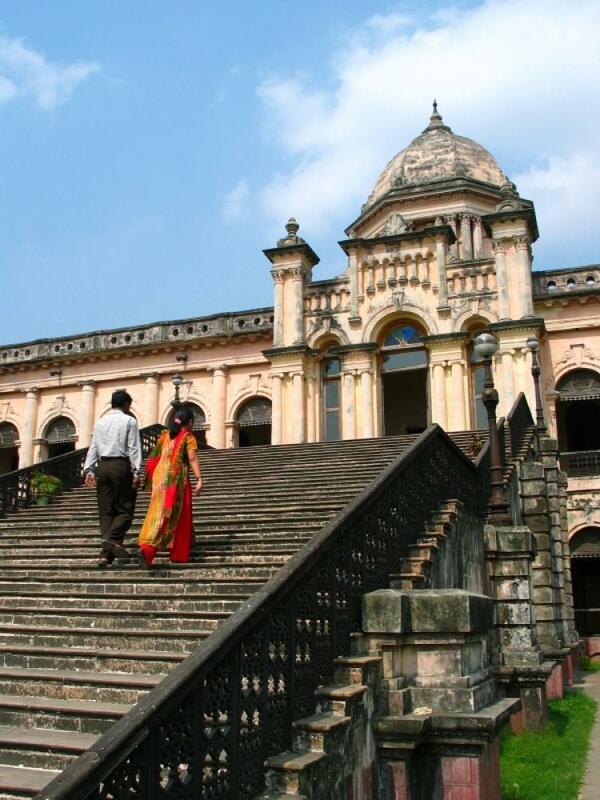 The fight for language diversity has a history, especially in countries such as Bangladesh. On International Mother Language Day the UN's Educational, Scientific and Cultural Organization (UNESCO) and UN agencies participate in events that promote linguistic and cultural diversity. They also encourage people to maintain their knowledge of their mother language while learning and using more than one language. Governments and non-governmental organizations may use the day to announce policies to encourage language learning and support. In Bangladesh, February 21 is the anniversary of a pivotal day in the country's history. People lay flowers at a Shaheed Minar (martyr's monument). They also: purchase glass bangles for themselves or female relatives; eat a festive meal and organize parties; and award prizes or host literary competitions. It is a time to celebrate Bangladesh’s culture and the Bengali language. The Linguapax Institute, in Barcelona, Spain, aims to preserve and promote linguistic diversity globally. The institute presents the Linguapax Prize on International Mother Language Day each year. The prize is for those who have made outstanding work in linguistic diversity or multilingual education. International Mother Language Day is a public holiday in Bangladesh, where it is also known as Shohid Dibôsh, or Shaheed Day. It is a global observance but not a public holiday in other parts of the world. At the partition of India in 1947, the Bengal province was divided according to the predominant religions of the inhabitants. The western part became part of India and the eastern part became a province of Pakistan known as East Bengal and later East Pakistan. However, there was economic, cultural and lingual friction between East and West Pakistan. These tensions were apparent in 1948 when Pakistan's government declared that Urdu was the sole national language. This sparked protests amongst the Bengali-speaking majority in East Pakistan. The government outlawed the protests but on February 21, 1952, students at the University of Dhaka and other activists organized a protest. Later that day, the police opened fire at the demonstrators and killed four students. These students' deaths in fighting for the right to use their mother language are now remembered on International Mother Language Day. The unrest continued as Bengali speakers campaigned for the right to use their mother language. Bengali became an official language in Pakistan on February 29, 1956. Following the Bangladesh Liberation War in 1971, Bangladesh became an independent country with Bengali as its official language. On November 17, 1999, UNESCO proclaimed February 21 to be International Mother Language Day and it was first observed on February 21, 2000. Each year the celebrations around International Mother Language Day concentrate on a particular theme. The Shaheed Minar (martyr's monument) in Dhaka, Bangladesh, pays homage to the four demonstrators killed in 1952. There have been three versions of the monument. The first version was built on February 22-23 in 1952 but the police and army destroyed it within a few days. Construction on the second version started in November 1957, but the introduction of martial law stopped construction work and it was destroyed during the Bangladesh Liberation War in 1971. The third version of the Shaheed Minar was built to similar plans as the second version. It consists of four standing marble frames and a larger double marble frame with a slanted top portion. The frames are constructed from marble and stand on a stage, which is raised about four meters (14 feet) above the ground. The four frames represent the four men who died on February 21, 1952, and the double frame represents their mothers and country. Replicas of the Shaheed Minar have been constructed worldwide where people from Bangladesh have settled, particularly in London and Oldham in the United Kingdom. An International Mother Language Day monument was erected at Ashfield Park in Sydney, Australia, on February 19, 2006. It consists of a slab of slate mounted vertically on a raised platform. There are stylized images of the Shaheed Minar and the globe on the face of the stone. There are also the words "we will remember the martyrs of 21st February" in English and Bengali and words in five alphabets to represent mother languages on five continents where people live.